Neurofeedback, otherwise known as EEG (electroencephalogram) biofeedback, is a relatively new concept and technical advance that has shown some very promising results for a number of conditions. 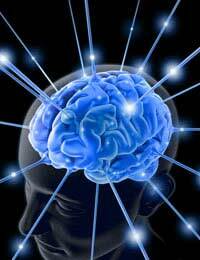 Neurofeedback aims to re-train the brain and challenges it to rethink it’s own behaviours and responses. It uses technology to read information from the brain and provides methods of re-tuning the thought and nerve pathways and processes.The therapy, to some degree relies on the individual and needs compliance and willingness to challenge and change existing behaviours. Using monitors that record the brain function and nerve pathways, experts can observe how the brain works and reacts to certain situations. Following the results being read, the experts/therapist can then reveal the results to the individual concerned who can begin to see patterns in their behaviour. Using ‘rewards’, the brain functions will slowly change as the person accepts the rewards and adapts and modifies their behaviour accordingly. Over time the behavioural patterns of change can be learned and the brain’s processes can be adapted to more acceptable and relieving responses. The practice is pain free and shouldn’t be uncomfortable as the electrodes are placed in strategic points such as behind the ears. The signals in the brain are read with these electrodes and sent to a computer where they are transferred into understandable language that can be learned by the therapist and the individual. Will It Help Ease My Fibromyalgia Symptoms? The aim of using neurofeedback for fibromyalgia sufferers is to tap into their external stimuli, their response to the stimuli, their perceptions of the condition, their symptoms and how they perceive pain and discomfort. Using neurofeedback aims to instruct and educate the person the ways in which their behaviours and attitudes correspond to their condition and the severity of the symptoms. When the person is exposed to the data received by the computer, they can witness their responses together with how they respond when a ‘reward’ is present. Following this they can slowly learn to re-educate their brain in how it allows them to deal with the condition. Typically, sufferers of fibromyalgia who have been treated with this therapy have found that their mood improves and their fatigue, pain and emotional control of the condition all progress. At the moment it is extremely unlikely that you will be offered the therapy through the NHS and it will have to be sought and booked independently. There are many clinics throughout the UK who may be able to offer this service to you though it is advisable that you do check with your GP or specialist to make sure you are a suitable candidate for the therapy and it will not interfere with any other treatments or medications. The costs of receiving the treatment are very variable as each person will require a different course length and frequency of sessions; some may need only ten sessions whilst others may need up to thirty, sometimes more. The session cost can vary between £30 and hour and £100 an hour so it is important to carry out some research and be prepared for the costs when you begin your treatment. Neurofeedback is quite a new advance in therapeutic healing and experts continue to learn how it works and what it can be used for. Those who have fibromyalgia and have used the treatment have mainly shown good results and an improvement in their symptoms.